Home » Social Media for Business » A Common Misconception Social Media Marketing Misconception: It is easy! A Common Misconception Social Media Marketing Misconception: It is easy! …that social media marketing is easy is an utterly common misconception. Perhaps it has something to do with being on social media being confused with doing social media marketing. 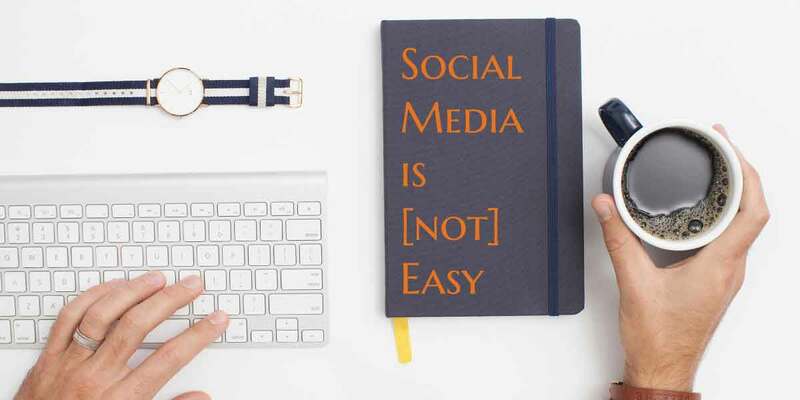 Perhaps it may be because the entry barrier in social media is low thus people think that social media marketing is easy. Or it might mean creating a Facebook page is easy. Thus social media is easy. In fact, you can create several pages to your name. Yes, it is THAT easy. …that social media is simple but not simplistic should be how we’d view it. The part where you have to build a relationship with people or other brands, have people visit your page or profile, and engage with your page require experience, skill, and plenty (yes, plenty) of time. On top of that, there’s that matter of making them buy your product or service without driving them away. Managing your social media platforms, ideally, requires someone with skills in sales and customer service and retention. That is why it is not recommended that you leave it to a teenager alone. Social media marketing is more about your “followers” or “friends,” and less about you. Posting sales pitch after sales pitch is no longer the norm. It includes getting to know your audience and their social habits. Post relevant content. Content that is useful for your community or the niche you are trying to reach. It can be news, or how-to’s, etc. In other words, content should be value-based. Use social media tools to make your time efficient. There are many tools that you can use to streamline posting. Some are free; some aren’t. In fact, what you’d find is that not all social media tools have all the features you need. Before you go shopping for one, list first the features that you are looking for in a tool and what matters most to you. Don’t go chasing the shiny toys. There’s so many there. Learn where to find content. There are many sources where you can find content to use for posting, like Google News and content curation sites. Also, don’t forget the content from people you are following and trying to build a relationship with. They may have relevant posts. Know when to post. Yes, there is such a thing as “timing.” Find out the best time when people your target segment or geography are active online. Harness the power of your data. If used well, you can use it to your advantage. Use Google Analytics, surveys, Facebook Insights, Pinterest Analytics, and Twitters.’ All these that I mentioned are free. Social Media platforms have policies. Be on their safe side. Read and comply. When posting to your social media platforms, sure you can automate it. You can cross-post too, but I am not saying that you should leave it to the tools. 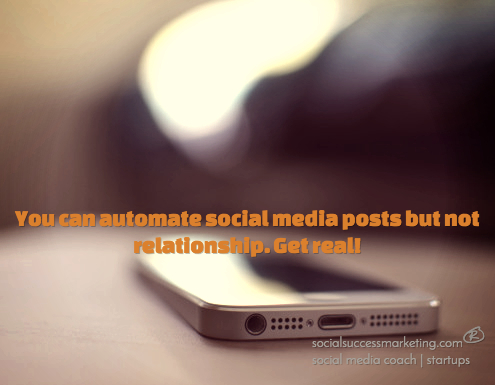 The fact is, you can automate posts but not social engagement that fosters relationship. Social engagement is the beginning of building a relationship and trust with your clients or prospective customers. It is also an excellent way to find your brand advocates. Regarding automated posts: a close metaphor is when you answer your phone and get a robo-caller on the other end. Who would like to build a relationship with a robo-caller????! I do not listen to it unless it’s a reminder from my doctor’s office. Be human. Share tidbits of your company that your followers can relate to. Converse with other business pages or people. Don’t be afraid to jump in on a conversation. Avoid the temptation of selling too often! Go around, and visit your “neighbors.” What I mean by that is visit other pages, or say hello on Twitter. Not all of them will respond, but some will. You may download this free social media content eBook if you are looking for other ideas. This list isn’t exhaustive, but hopefully, it is helpful to you. How do you start social engagement? All the above requires relentless consistency and your precious time. Contact an experienced social media adviser if you need guidance. The longer you wait, the farther you are left behind by your competitor.